'When you have eliminated all which is impossible, then whatever remains, however improbable, must be the truth.' In this, the final collection of Sherlock Holmes adventures, the intrepid detective and his faithful companion Dr Watson examine and solve twelve cases that puzzle clients, baffle the police and provide readers with the thrill of the chase. 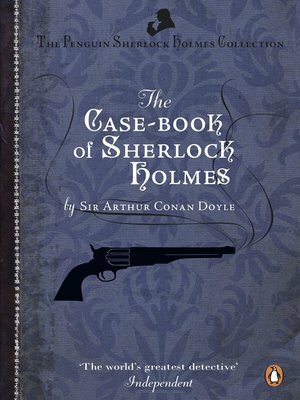 These mysteries - involving an illustrious client and a Sussex vampire; the problems of Thor Bridge and of the Lions Mane; a creeping man and the three-gabled house - all test the bravery of Dr Watson and the brilliant mind of Mr Sherlock Homes, the greatest detective we have ever known.